Over a year ago, our friends invited us to go four-wheeling in the mountains of Colorado. It’s been on our bucket list, so we booked a cabin at the KOA Campground and anticipated the adventure with Garth and Becky and their family and friends. And what an adventure it was! 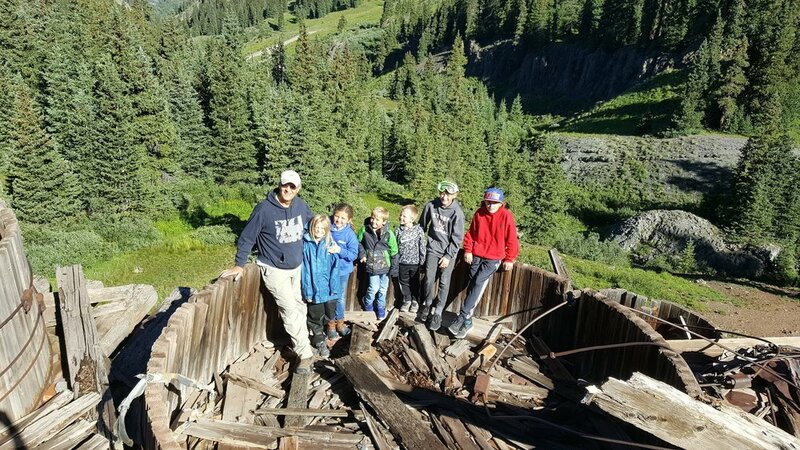 We enjoyed sunny and cooler days as well as rainy and cold weather while we climbed to almost 14,000 feet three days in a row, visiting Ouray, Telluride, and Silverton and passing countless old dilapidated gold and silver mines along the way. It was exhilarating (sometimes downright scary! ), gorgeous, and a fun time with friends!